The first time I took a baking class, the teacher impressed upon us that baking is all about precision. You can’t just eyeball the flour: you have to use a dry measure that is neatly and swiftly topped to get EXACTLY the right amount required. Having baked my fair share of cakes, cookies and cupcakes that went flat, literally and figuratively, and a large number that have been a rocking success, I’ve decided that taking the easy route some of the time is just fine. Here are a baker’s dozen of hacks to simplify your life, or at least your baking. 1. Getting bits of eggshell out? You’ve let a bit of shell fall into the bowl while cracking your eggs and scooping it out is like chasing a wet toddler around the pool change room: slippery. No problem! Just wet your finger and stick it in the egg, pushing down on the bit of shell. It will stick like glue. Well, not really like glue but enough to get it out of the eggs and avoid an unpleasant crunch in your muffin. 2. Brown sugar has turned into a brick? Just put it in a microwave safe dish, cover it with a damp paper towel and microwave on high at 20 second intervals, testing for softness between each round. 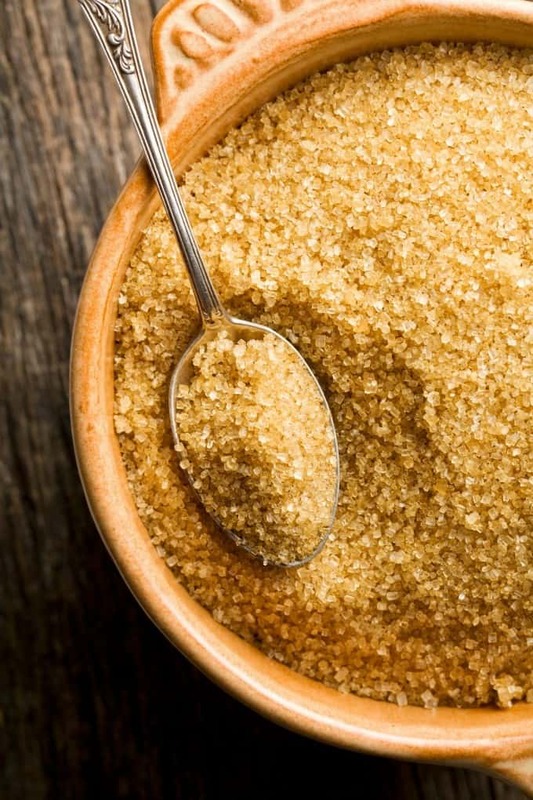 Avoid this altogether next time you buy brown sugar by putting a slice of bread in the container that you keep it in. It will keep the sugar moist but not mouldy. Apparently, a large marshmallow also works in this capacity but I haven’t tried it yet. Let me know if you have! If your butter is rock hard, there’s no need to microwave it, which might not create the right consistency at all. You need softened butter, not a butter puddle. Instead, warm a glass with boiling water, dump out the water and put the glass over the butter. Leave it for a few minutes. After that little sauna, your butter will be soft and easy to cut. Many recipes call for room temperature ingredients, including the eggs, but if you’ve forgotten to take them out in advance, just place them in a bowl of warm — not hot or boiling — water for up to ten minutes to bring them to the correct temperature. 5. No icing for your cupcakes? No problem! 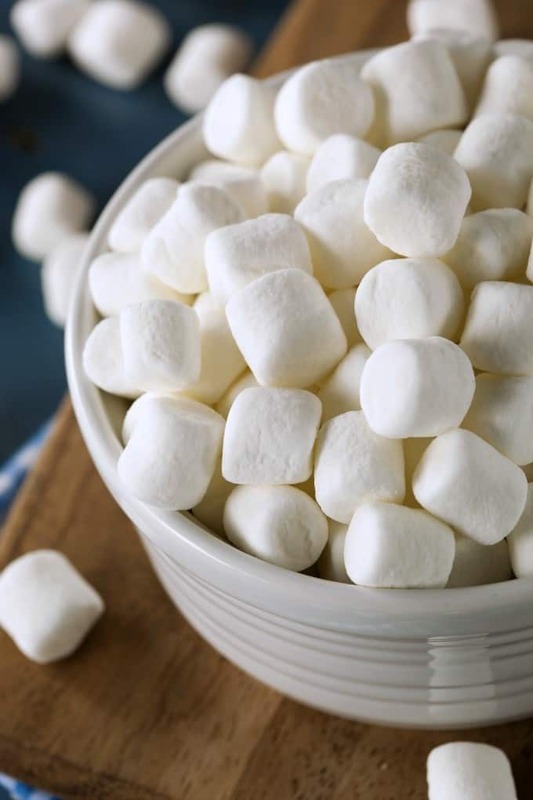 Just hope that you have large marshmallows in your pantry (because who doesn’t, right?). Five minutes before your cupcakes are done, place a large marshmallow on each one. Abracadabra: you’ve got instant icing! An easy way to make chocolate bowls is to blow up balloons so that the top half is about the size of bowl you want. Dip the balloons into melted chocolate and then set on a piece of wax paper to set. When they’ve set, just pop the balloons. This is a fun way to get your kids helping too. Just make sure you wash and dry the outside of the balloons thoroughly before trying this! 7. Can’t find your rolling pin? A wine bottle works well too! Kudos if the bottle is full before you use it for this but an empty one works just as well. Just put some wax paper or cling film over your dough if you don’t want to scrape the label off first! 8. Need buttermilk for that ONE recipe? Don’t buy a carton of it. Instead, add one tablespoon of lemon juice per cup of regular milk and let it sit for five or ten minutes. Another alternative is to replace the buttermilk in your recipe with plain yogurt, at a 1:1 ratio. 9. Craving banana bread but don’t have any overripe bananas? Make your own by putting bananas on a lined baking sheet and baking at 300F for 30 to 40 minutes. They will turn a serious shade of charbroiled, but that’s what you want. Let them cool for 20 minutes, snip off one end and squeeze out your ‘overripe’ bananas into a bowl! 10. Is your mixer on the fritz, but whipped cream is on the menu? Pour the cream into a mason jar, tighten the lid, put on music that you like to dance to and shake, shake, shake your way to perfectly whipped cream. A dance party and dessert all in one fell swoop. 11. Do you like your cookies soft? Assuming fresh baked cookies last longer than 24 hours at your house, add a slice of apple or a piece of orange peel to the container you’re keeping them in. This will help them stay moist and chewy. 12. In the middle of baking and find you’re missing something? There are some easy substitutions you can make for things like honey, molasses and baking powder, among others. Check out these emergency ingredient substitutions, in a post from a little while back! I’ve even included a free printable to keep handy in the kitchen. 13. Love the consistency of size with “slice and bake” cookies but not the ingredients? You can make your own! 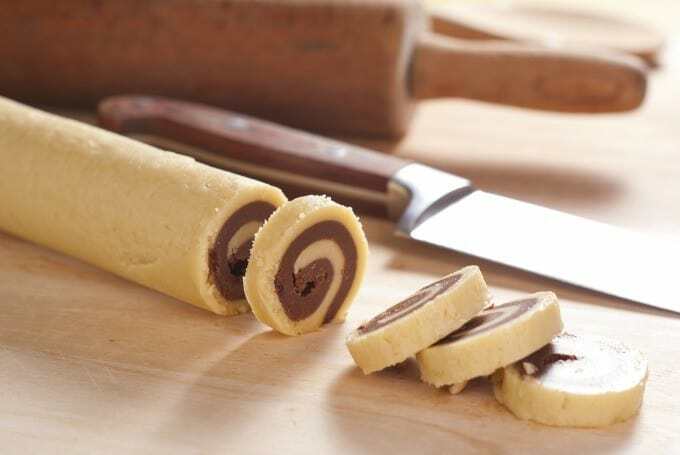 Roll out your cookie dough then roll it into a cookie dough log. Chill in the refrigerator for 10-20 minutes. Once it’s firm, you can slice even cookies just like a certain round doughy figure does on television. 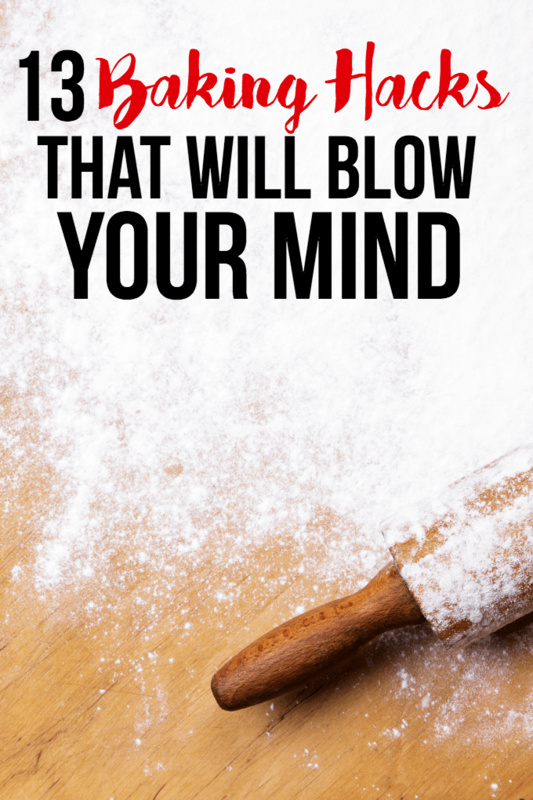 Do you have any baking hacks that have worked for you? Let me know! I’m always open to new baking tips! Oh my, these are some great tips! I’m pinning this for future reference! Thanks! I knew some of these but not all, the marshmallow one for icing is one I will have to remember. the hard butter hack is a great idea! Can’t wait to try the warm glass on butter trick! Love the cookie dough idea, will definitely try this! All great hacks, I love the butter one!! Definitely trying the apple/orange slice trick for keeping cookies moist! I’m going to pop these into the printer and put them in my recipe binder – they will make my life easier.